Ear setback surgery, also called “otoplasty” or “pinnaplasty,” can reshape prominent ears. By correcting the structure, shape, size, and position of the ears, this procedure makes the ears appear more natural and balanced in relation to the rest of the head and facial features. This aesthetic procedure can remarkably improve facial balance, aesthetic appeal, and self-confidence. Patients considering ear surgery should be in good health and should not experience chronic ear infections. Children as young as 5 or 6 years old may undergo otoplasty if their ear cartilage is stable enough. Ear setback surgery reshapes or pins back the ears according to the patient’s needs. Each procedure is customized. Incisions are usually placed behind the ear so that scarring is nearly undetectable. Any incisions that are necessary on the front of the ear are placed within the ear folds so that they will be inconspicuous. Through the incisions, Dr. Ashoor may remove excess cartilage and/or reshape and reposition the cartilage so that the ears are smaller, flat against the head, free of deformities, etc. You may experience some swelling or discomfort for up to two weeks after your surgery. Pain medications may be needed for the first few days. The dressing is removed after seven days, and a headband should be worn to hold the ears in place as they heal. Depending on your case, this headband may be needed day and night or solely at night. After approximately one month, your ears may be healed enough that you no longer need the headband. Most patients can return to work by five to seven days after surgery. You may resume exercise after several weeks, according to Dr. Ashoor’s instructions. The results will be immediately visible after ear surgery and will improve as the ears heal. As they heal, you will be able to see a noticeable improvement in the appearance of your ears. Results from ear setback surgery are generally permanent in most patients, but recurrence is possible. Ear setback surgery can soften the appearance of the ears so that they are balanced and natural-looking in proportion to the face and head. 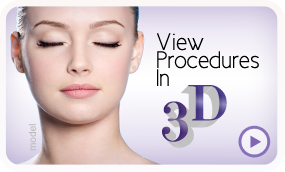 To request your consultation for this procedure, contact Dr. Ashoor today. 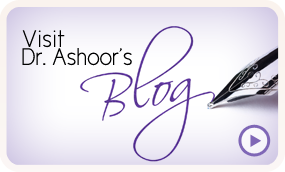 Dr. Ashoor can be reached by calling +973 17 74 0660 or completing his online contact form.